The bone marrow creates red blood cells (RBCs), which contains hemoglobin. 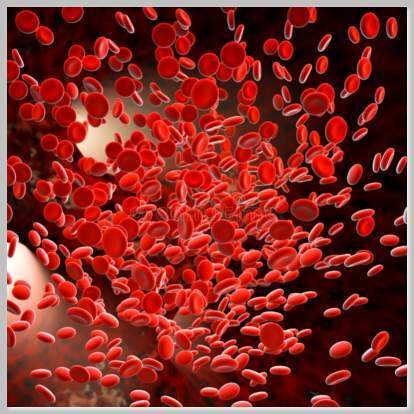 With the help of hemoglobin, the RBC is able to carry oxygen and nutrients all over the body. For this reason, it is vital to have the normal amount of RBCs. The hemoglobin (Hgb) and hematocrit (HCT) levels will help determine a person’s total red blood cell count. The HCT levels will reveal the percentage of RBCs in a certain amount of blood. The Hgb levels, on the other hand, will indicate the amount of hemoglobin in the blood. It is vital that one must keep their HCT and Hgb levels within the normal range. A low Hgb and HCT will mean that there is insufficient oxygen circulating throughout the body. If the level is very low, it can be a life-threatening condition. For this reason, it is valuable to learn and understand the possible reasons why a person experiences a decrease in Hgb and HCT levels. The normal levels for hematocrit and hemoglobin will vary depending on your age and gender. The table below contains the normal HCT and Hgb values. The most common cause of low Hgb and low HCT is bleeding, which can be either visible or hidden. Most of the time, blood loss is a manageable condition as long as it is visible like in cases of injuries and heavy menstrual bleeding. A major problem occurs during internal bleeding because the blood loss can go on undetected for a long period. Most types of anemia are due to bleeding in the digestive tract. For severe blood loss in the gastrointestinal tract, the common causes are cancer or ulcer of the stomach, intestine, and esophagus. When a patient has a low Hgb and HCT with no visible signs of bleeding, the doctor will order a stool examination to test for the presence of blood. Normally, RBCs can stay in the bloodstream for about 120 days. Then, the destruction of these blood cells occurs in the spleen and the bone marrow will release new RBCs. Various medical conditions can disrupt this normal process leading to low Hgb and low HCT. One example is hemolytic anemia, wherein there is a premature destruction of RBCs, and the bone marrow is unable to produce enough blood cells. In other types of anemia such as sickle cell and spherocytosis, the body attacks and destroys the RBCs with abnormal shapes. The premature destruction of RBCs can also occur in other diseases that are unrelated to the blood. For example, infections caused by the Streptococci and Meningococci bacteria can lead to the rupturing of the RBC because of the toxins that these microorganisms produce. Because the bone marrow is the creator of RBCs, a disease or damage within this organ can lead to low levels of Hgb and HCT. An example of a bone marrow disease is aplastic anemia, which occurs when the bone marrow is not creating any blood cells. Lymphoma and leukemia are types of cancer that also affect this organ. Damage to the bone marrow can occur due to various causes such as infections, toxins, medications, illegal substances, chemotherapy, and exposure to radiation. When there is damage to this organ, it can affect its production of RBCs. In some cases, the body’s total number of RBCs is normal. However, because of the increase in plasma volume, or the fluid part of the blood, the number of blood cells decreases, which leads to low levels of Hgb and HCT. Patients with congestive heart failure (CHF) and kidney diseases will experience an increase in plasma volume due to fluid retention. Women will normally experience an increase in their plasma volume during pregnancy because of the increase in aldosterone levels. The kidneys have a role in RBC production because this organ releases erythropoietin (EPO), a hormone that signals the bone marrow to create blood cells. In patients with severe kidney diseases, their EPO production decreases leading to low levels of RBCs. Various nutrients are essential for the production of RBCs such as folate, vitamin B12, and iron. A deficiency in these nutrients will lead to low Hgb and low HCT levels. In most cases, a poor diet is the primary cause of the nutrient deficiency. However, patients with celiac disease may also experience a deficiency in iron and folate because of a damaged intestine, which reduces the absorption of these nutrients. A decrease in the production of RBCs can also be due to several health conditions such as chronic inflammation, liver diseases, and thyroid problems. If you experience these symptoms, it is vital to consult your doctor and undergo blood testing. If your test result showed that your Hgb and HCT levels are low, your doctor may order additional tests to find the underlying cause of your condition. If the cause of the low hemoglobin is a nutrient deficiency, your doctor will prescribe some changes in your diet such as eating more animal protein and green leafy vegetables. He may also prescribe supplements to boost the levels of iron and B vitamins in your body. A patient may undergo surgery for severe cases of internal bleeding, ulcer, or cancer. The doctor will prescribe blood transfusions if necessary. If the low RBC count is due to a certain medication, you have to stop taking the medicine and ask your doctor for an alternative. If your bone marrow has a problem, your doctor can prescribe some drugs and other treatment options depending on the underlying cause of the abnormality and your overall health condition.